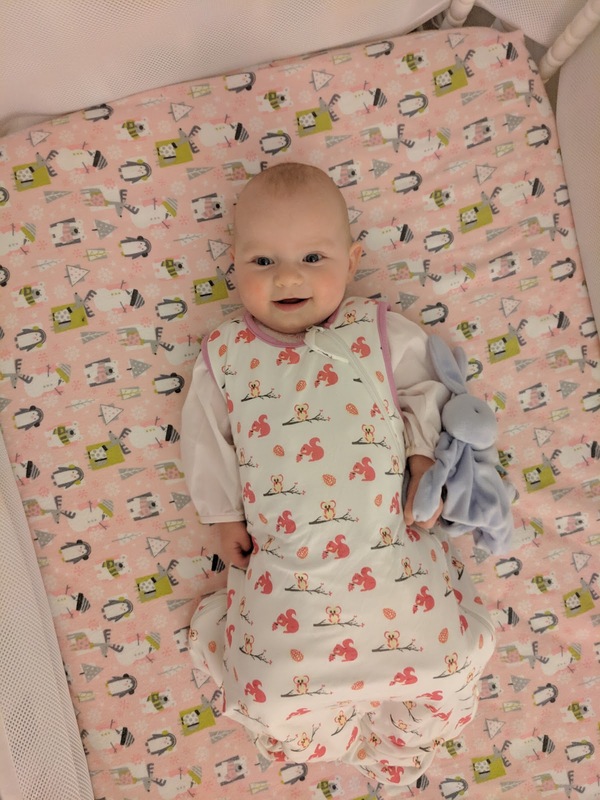 Alright friends, today is all about how I got Elsie to sleep in her crib without her beloved DockATot (DAT). There's a reason they have such rave reviews, baby's love them! When I posted on instastories asking for advice on how to transition, I got a lot of response from people who were also going to be transitioning their baby soon and were looking for tips as well! Now that I've done it, and Elsie is sleeping pretty well without it, I thought I would share what I did! I was so nervous to transition Elsie out of the Dock. 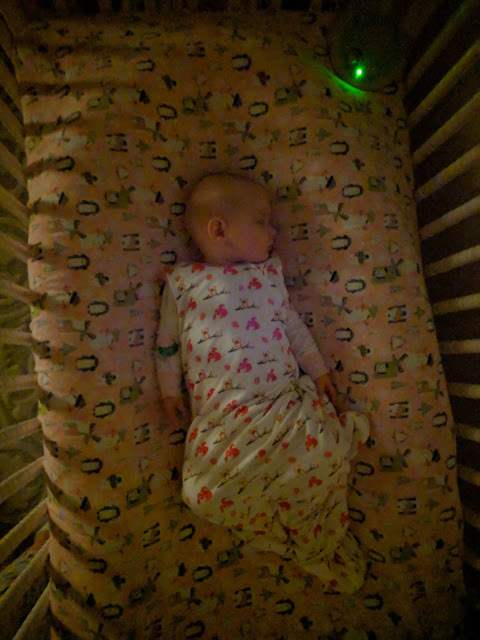 She had literally slept in it since the week brought her home from the hospital and she slept SO well. I was so scared if I took it away she would be this horrible sleeper. Oliver never slept in the DAT so I had no idea how it was going to go. Sleep is SO important to me if you can't tell, as I'm sure it is to everyone! I Googled ways to transition out and didn't find much.I don't know if most people just upgrade to the Grand or maybe I just made it a bigger deal than it was, haha. Taking Cara Babies has a blog post that I referenced but it wasn't exactly what I was looking for. First night I decided let's just go cold turkey. Place her in her crib without the DAT and see how it goes. So I did and she rolled around over and over and got her head stuck up against the rails and cried and I just knew this wasn't the way to go. 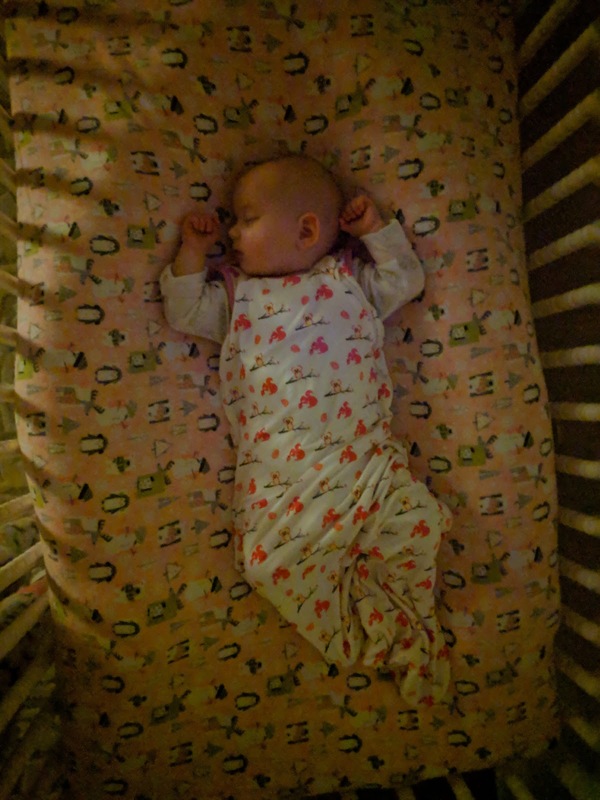 When I transitioned her out of her swaddle I did it slowly and it went very smooth so I decided to go the slow route for the DAT transition too. She's my last baby, so I'm really in no rush for her to do anything too fast! It got to be that her face was always up against the side and I was starting to worry it wasn't safe. Plus it was just time. I had read somewhere you can take the long piece out of the Dock and place it under her fitted crib for a slower transition. You just make it a little bit wider and no incline. That's what I decided to do and she had no problems sleeping like that so I left it for two nights. After night two, I made it even wider and spread the top of the long piece more so it touched the top of the crib. Now she was sleeping in her crib without any of the cushion touching her. It was still there so she felt secure but it also allowed her to get the feeling of sleeping without it. We did that for one night. She definitely moved around more this time and you could tell she was like "where did my soft comfy bed go?" But overall she slept fine. Alright, so next night I made it as wide as it could go and not 5 minutes after I placed her in her crib, she flipped over and fell asleep on her tummy. I did not feel safe with her sleeping on her tummy with the cushion still in her crib. Even though they claim it's breathable, I didn't like her sleeping like that and clearly she didn't need it. So Theo and I snuck in and very carefully and quickly pulled out the cushion without her even noticing. Ever since that night she's been fine without it. She sleeps on her tummy for night sleep most of the time and seems so comfortable. Now, unfortunately naps weren't as smooth as a transition. For whatever reason, it's easier to transition babies to new sleep arrangements when it's bedtime versus naps. Taking Cara Babies says it's because the drive to sleep at night is much stronger. I totally believe that because while her night sleep was barely phased, her naps started to be all over the place. There are some days where she naps fantastic, and other days where she only sleeps for 45 minutes and is done. I realize this could be the cause of a lot of reasons, ex. teething, Wonder Week, needs more wake time, so I'm not fully going to blame it on her no longer sleeping in the DAT. So that's how I got Elsie to sleep in her crib without the DockATot and prevented any loss of sleep at night! Went pretty easy I think! I probably didn't need to do a whole blog post about it but I figured there might be someone out there curious on what to do. I think the DAT is an amazing sleep prop and overall I am glad we used for those first 7 months of her life, it gave us sleep so nothing to complain about there!